A leg up – The HomeTeamNS Children Education Award provides HomeTeamNS members with financial support for their children’s education. 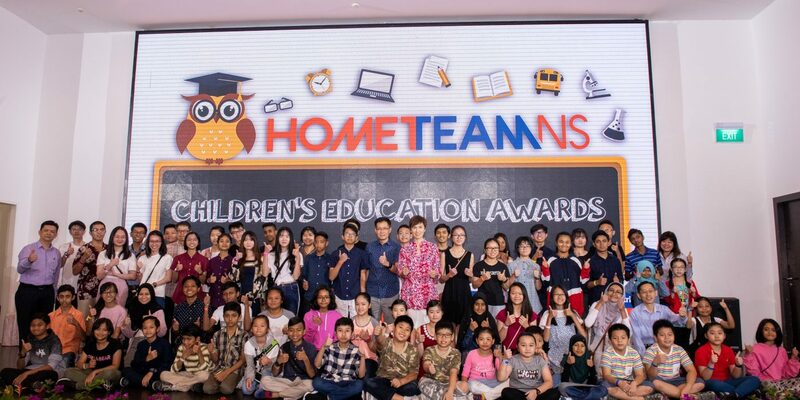 In November 2018, the 13th HomeTeamNS Children Education Award ceremony – which was held at the HomeTeamNS AGM – saw 89 recipients from primary, secondary and tertiary institutions benefit from financial assistance. The annual award assists eligible HomeTeamNS Members with the cost of their children’s school expenses for the new school year. It encourages the students to excel not just academically but also in extracurricular activities and community involvement programmes. To qualify for the award, members must have a total monthly gross household income of less than $2,500, or a monthly per capita income of less than $625 if gross household income exceeds $2,500. This year, HomeTeamNS Ordinary Member Imran Fadzill Bin Ahmad Fadzillah received the Education Award for the third time, for both his sons. The father of seven is a logistics coordinator and sole breadwinner of the family. With the funds disbursed through the award, he can purchase school supplies or gear for his children’s extracurricular activities. “I hope to one day obtain a degree in engineering. The bursary award will help ease my parents’ financial burden,” says Ahmad Faiz Bin Imran Fadzill, one of Imran’s sons who benefitted from the award. For more information, visit here.